With Venus Rising successfully wrapped up and shipped out, I’ve turned my attention to the next book in The Unity Sequence. It’s actually been outlined for a couple of months, but on hold while I finished the edits to Venus Rising. Today I… I want to say ‘broke ground’ on the first draft, but that only applies to buildings. (Note to self: Coin a phrase for starting first drafts. Spread it around. Become famous…. Profit?) 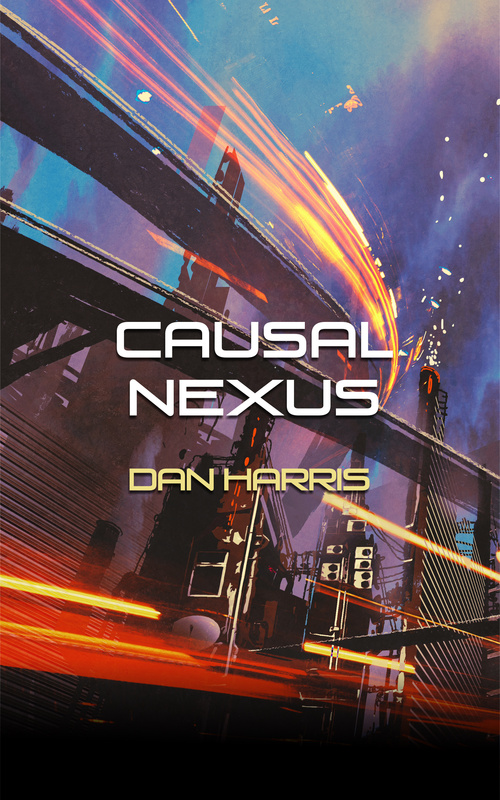 Anyway, I had a few hours free while Mrs. Dan was out, so I banged out the first 2,800 words of what’s eventually going to be Causal Nexus. In structure it’s going to be a little bit different to the other two books. Ascension Point and Venus Rising are both made up of chapters four to five thousand words long, each with four to six scenes. This works well for a fast-paced story, with quick POV shifts between scenes and lots of action. But Causal Nexus is going to be a slower-paced, more character driven book, so those 2,800 words are just the first scene… and also the first chapter. There’s still going to be a lot of action, but the story takes place over just one day, and shows how the lives of seven characters–most of whom don’t know each other–can interact in shocking and dramatic ways. I really want to dig into the characters’ thoughts and feelings, and bring across how different they are and how each of their lives touch the others’. It’s going to be interesting to write, and a bit of a change in style for me. I really enjoyed writing this first chunk, and I can’t wait to see how it turns out. New Release: Venus Rising is Out Now!